One Dark Throne fails to uphold the legacy of its predecessor, Three Dark Crowns. Poor world-building and a cluttered plot mark its fall from grace. Following The Quickening, an event showcasing the unique powers of triplet queens destined to murder each other in a gauntlet for power, sisters Katherine, Arsinoe, and Mirabella prepare to fight. To complicate matters, the girls face politics in their courts as they vie for suitors and political advantage, and the overseeing Council demands action. When naturalist Arsinoe attempts enlisting poisoner Katherine and elemental Mirabella to challenge the harsh tradition of murder, she faces opposition both from her sisters, now opponents, and the Council. I had such high expectations for this novel, especially after enjoying Three Dark Crowns. The slow-moving plot, however, made reading this book a hassle. Complicated by unnecessary romances, the storyline strays from adventures and suspense to instead highlight the three sisters’ love interests and their companions’ love interests. The love triangle between Nicolas and Pietyr, for instance, distracted from Katherine’s interesting character development. In this fantasy world, the plot hinges on the queens’ battle to determine the true ruler of Fennbirn during an Ascension Year, yet most of One Dark Throne’s drama emerges from picking suitors and separated lovers rather than cultivating abilities for upcoming battles. This discrepancy with the first book in the series represents a plot inconsistency that detracted from a promising idea. The battle scenes, in comparison, were underdeveloped. After prefacing the queens’ fights with the elaborate Quickening in Three Dark Crowns, the forest chases, in which one queen would announce herself and run into the woods, seeking another queen, felt rushed and unorganized. Strong female friendships and the bittersweet conclusion redeemed the story for me, somewhat. For avoiding spoilers’ sake, I will refrain from naming the girls, but I appreciated their camaraderie and the conversations that made them more human. And the conclusion, unpredictable, left me thinking when I flipped the last page. A disappointing sequel, although fans of Three Dark Crowns might enjoy it. Sorry that this one wasn't better for you. I have heard a lot of mixed things aobut this series and haven't decided if I want to pick it up or not. Thanks, Carole! If you enjoy fantasy books about kingdoms or royals, you may enjoy this series. I liked the first book a lot more, and the concept of a world that hinges on the lives of these three sisters, but unfortunately the second one disappointed me. Gah, I'm a bit scared to read this one now. I really liked the complex plot and characters in the first book, and it seems like this one didn't let them shine enough. :( Definitely agree about the romance being unnecessary--I don't usually say this, being a lover of romance--even the first one didn't need it. :( Awesome review, though! Thank you Aimee! I hope you enjoy the second book more. 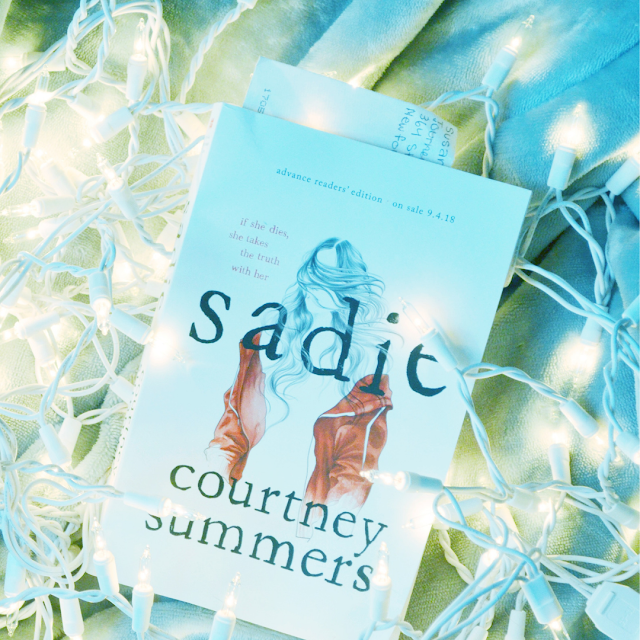 The sisters' complex relationship and their character development led me to like the first book but here I felt the romance really detracted from that. 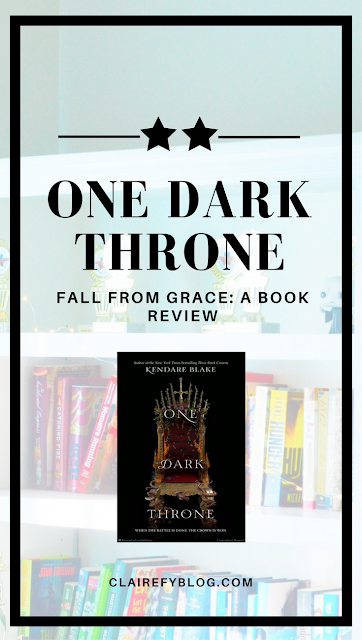 I was a HUGE fan of the first one (and all of other Kendare Blake's books, too) so I'm really interested to see where she takes this one. I totally understand your negative points, but honestly, I think I'll be fine with it. And I love the sound of strong female friendships (that was actually one of the thing I adored so much about the first in the series.) Anyway, I'm super interested to see how Kendare Blake wraps up the series. Sorry it didn't work for you, I've heard so many mixed reviews! Thanks Kei! I was surprised after I read it, because friends who had recommended it to me generally enjoyed this one. Oooh, I absolutely love the picture you took! Great post! I liked this one more but I agree about the romances. Especially Nicholas/ Petyr- ugh. It did need better battle scenes and a little more plot development too- the series does move kinda slow. I'm hoping the next one picks up the pace a bit. Yes! I had so much hope for the battle scenes, but the romance detracted from potentially action-packed and suspenseful moments. I see so many mixed reviews for this series that I just can't decide whether to pick it up or not. I keep going for it in book shops, only to then put it back down and walk away. Thanks for the review - it's really helpful to know that you liked the first book a lot more than the second. I've heard such amazing things about Three Dark Crowns but have yet to read it. Fantasy is not typically my genre so it takes a lot for me to pick one up. Sorry to hear this installment fell flat and didn't live up to its predecessor. That's always so disappointing - especially when the previous books was so engaging. I can understand that, Tanya. And yes-- for any genre, a disappointing sequel is, well, disappointing. I've really wanted to read this series! I'm sorry this one didn't meet your expectations. I'm not a fan of love triangles, so that would have been a major bummer for me. I don't mind romance, in fact, I LOVE IT. I just like for there to be ONE romance, and then a lot of action and adventure. As always, wonderful review! Thank you! 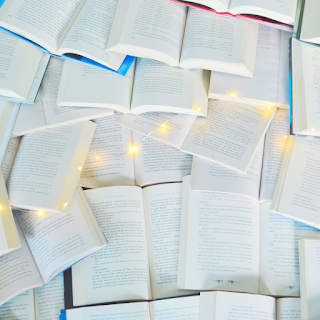 Sometimes I don't mind romance in books, but I tend to be critical of them. In this installation especially, the love triangle and other complicated romance plots detracted from what I hoped would be suspenseful battle scenes. I came to your site through Elgee Writes. I haven't heard of this series. I know it's one I probably should have, though. But now that I read the sequel isn't that good, I'll find another series to sink my teeth into. I hope you find a series you like, Terri! Thanks for stopping by. What a lovely bookish nook!! Wonderful review as well. I've been on the fence with this one. I probably won't end up picking it up. Hi Erica! I was on the fence with this story for a while too, and decided to take the plunge and read it. It unfortunately wasn't for me, but I hope it can provide some closure to fans of the first book. I have wanted to read this one for some time now. It's very close to the top of my TBR :) Great review! I love your blog. It's gorgeous and I wish I had a reading nook like yours. Thank you Megan! I hope you get to reading it soon! Beautiful blog, by the way :) I've been meaning to visit for a while but until now haven't got round to it. Thank you so much, Amy! I'm sorry that you didn't enjoy the first book in the series much. Thanks Dani! I liked the first book a lot more, but overall I'm not sure where that leaves me with the series as a whole. I just started reading Girls Made of Snow and Glass, which has a summary that reminded me a little bit of this series, so I hope I enjoy that story more! Ahhh, I'm sorry you didn't enjoy this one! I liked it a lot and cannot wait for the next book, but I can totally see where you're coming from. Thanks Di, and I'm glad you liked it! Sorry you weren't a fan of this one. I love the series and I wasn't disappointed by this second book because I love unraveling all the mysteries (and this book was good for that). I can see your complaints, though. Thanks Nicole, I'm happy you enjoyed the series!